I love a fun gift. Giving or getting, either works for me. When I come across something that would be fun for all ages, well, I feel as if I’ve hit the gifting jackpot. Kiddos would definitely like this one, but I could see OMT! hanging one in the kitchen (next to the fire extinguisher for an authentic feel?) for her emergency Slushie Fund. Here’s the product info blurb: Add coins at your own risk: only by smashing the glass can they be retrieved. As you watch your money literally build up, you will be torn between the desire to save more or cash in. 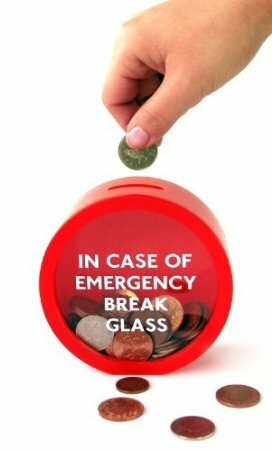 With money rapidly disappearing into plastic cards and online transactions, the physical presence of the ‘In Case of Emergency’ money box will make you think more carefully before you decide to splash out. What will be your moment of need. A customer review advises that the back twists off easily and the front is made of durable plastic, not actual glass, so there is no need to break anything in order to use the money. PUT DOWN THAT HAMMER! I’m thinking ahead for stocking stuffers (seriously, smack me) or high school grads that are college bound this fall. Or maybe their parents who are footing the bill…. Love it? Need it? Gotta have it? Click HERE for the details. What a great gift idea! Thank you for spreading JOY and sharing at the Oh What a HAPPY Day party. Happy to come…thanks for having me! This would make a great White Elephant gift! I wonder if you could DIY? Maybe a Shadow box with a slit on top, the way I have seen displays for movie/concert tickets? If a gal was crafty, I’m sure you could DIY. For a gal like me…AMAZON! Very cute 🙂 Great gift idea! 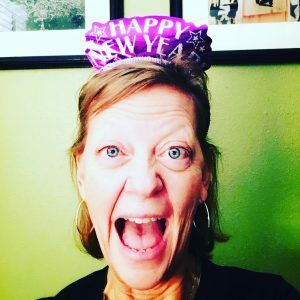 Thanks for sharing with us at the Let’s Get Social Sunday link party. I love the idea for college students (or their folks paying for the education)! Very Cute. Thanks so much for sharing with Wednesday’s Adorned From Above Blog Hop.